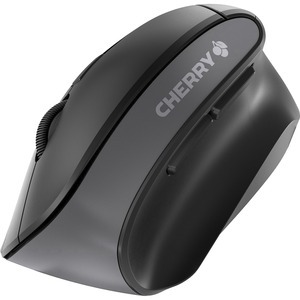 Six-button, wireless mouse features an angled, ergonomic design that keeps your hand in a more natural position for fatigue-free use and fewer issues with your wrist and tendons. The adjustable resolution, with a maximum resolution of 1,200 dpi, allows precise navigation. Extra-small nano receiver can be left in your laptop or stored in the mouse. Status LED indicates when your battery is low to prevent unexpected depletion. Abrasionproof surface finish resists minor damage to prevent unsightly scratches from showing.